These Modular Storage units incorporate our High-Capacity Shelving with backs and several of our most popular modular storage units. These units include Small Parts Drawer Units to accommodate small parts. Larger parts, hand and power tools are stored using shelves and locking doors. Durable grey powder coat finish. 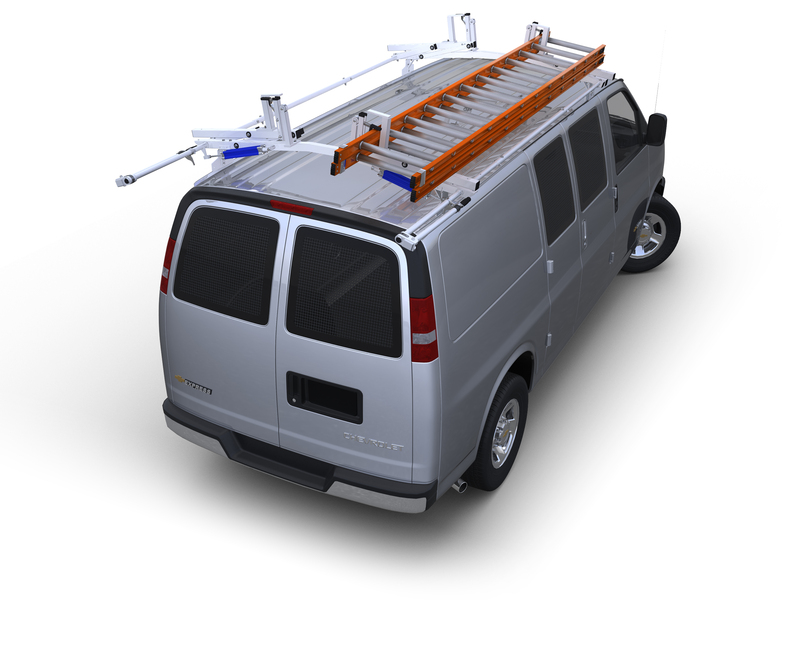 Standard and High Roof and Ford Transit Medium and High Roof vans or 65”H for Sprinter, ProMaster and Nissan NV High Roof and Ford Transit Medium and High Roof Vans. To accommodate both the door and small parts cabinets on these units, the bottom shelf (12" clear) prohibits installation over the 18"
high wheel wells in these ProMaster vans. Units can be mounted at the sidewall directly behind the driver’s seat or against the partition.